Lady Killer Valentine’s Formal Men’s Wear Headquarters, from Vintage to Avant-garde. We have Racks & Racks of Suits, Blazers & Tuxedos for Valentine’s Formal Men’s Attire. We are the Dallas HQ for Valentine’s Formal Men’s Attire that gets you noticed. 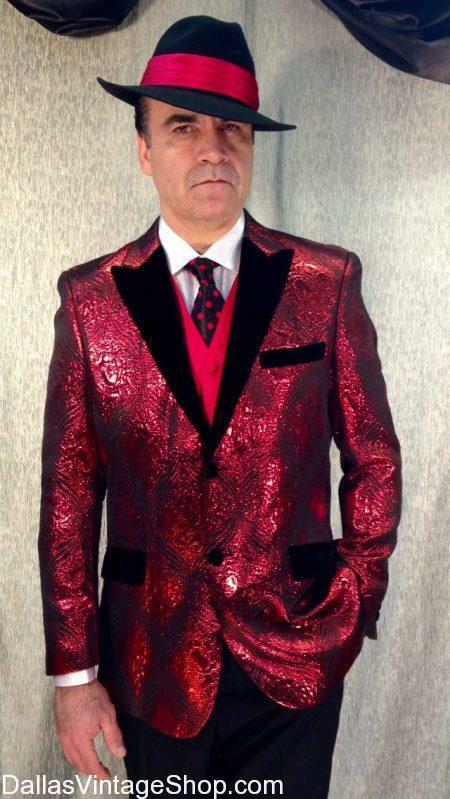 Look at our Formal Blazers, Latest Tux Fashions, Impressive Vintage Styles, Classic Formal Wear, New Prom and Formal Wear Fashions, Flamboyant Formal Suits & Accessories that could not be found anywhere else in Dallas or anywhere. We have the Volume and Selection to help you create your Valentien’s Day Formal Wear Ensemble.